In this free Marvelous Designer 6 tutorial video I’ll teach you all about the new tools to create Marvelous Designer buttons and buttonholes. The buttons & buttonholes features were added in Marvelous Designer 6 and are still the same in Marvelous Designer 7. You’ll learn the best way how to make Marvelous Designer buttons, how to duplicate, edit and move buttons, how to change button size, angle, weight, color and texture, how to change where the buttons are sewn and how to fix fabric-guzzling-button-issues. You’ll also be able to create different kinds of buttons, save out button presets, rename buttons, sew / fasten buttons, and you’ll discover how to make buttonholes in Marvelous Designer 6 and change all their settings as well. 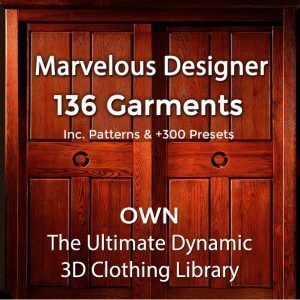 This Marvelous Designer buttons video tutorial is a little long (38 minutes) as I cover in-depth all the button and buttonhole settings in the new Marvelous Designer 6 software. I hope this Marvelous Designer add button tutorial video helps you! Subscribe for more Marvelous Designer tutorials. 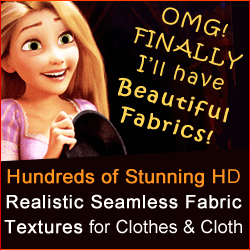 Learn all about new features in MD6 with our FREE Marvelous Designer 6 tutorial series here. You are most welcome, Saj!